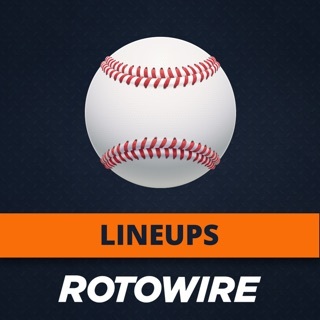 RotoWire.com has developed a quick and easy-to-use app for fantasy sports fans. 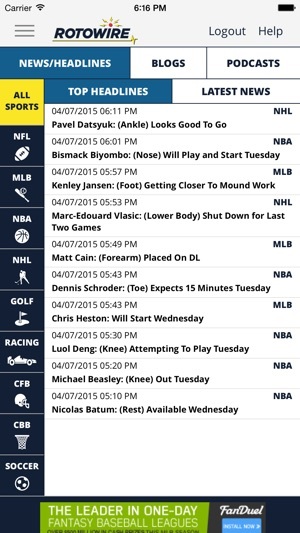 The app provides up-to-the-minute fantasy sports news and analysis. 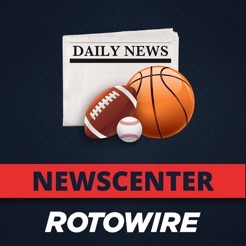 You can check out recent news and analysis for players in the following sports: NFL, MLB, NBA, NHL, golf, racing, college football, college basketball, and soccer. 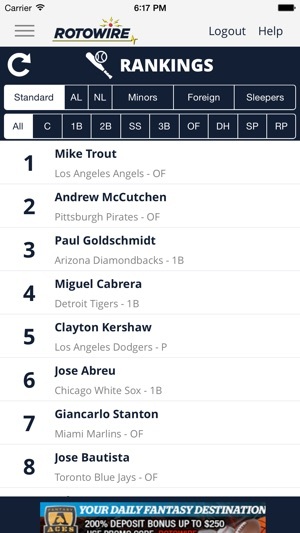 The Player Search feature allows you to view the latest information on any player in our system. Our Baseball News and Baseball Rankings subscriptions allow you to view all of our available baseball player and rankings updates as long as your subscription is active ($0.99 per month, or $9.99 per year). Payment will be charged to iTunes Account at confirmation of purchase. Subscription automatically renews unless auto-renew is turned off at least 24-hours before the end of the current period. Account will be charged for renewal within 24-hours prior to the end of the current period for the same price. Subscriptions may be managed by the user and auto-renewal may be turned off by going to the user's Account Settings after purchase. No cancellation of the current subscription is allowed during active subscription period. - Tapping a notification while the app is closed will now cause the correct player update to display on app launch. - Notifications will no longer cause the menu bar to stop responding to touches. NFL players’ news is not working when clicking on the league and selecting a player. This issue happened after the recent update. Please fix it as it was working well previously. Thanks for the fix.. it’s working nicely again. Great app. 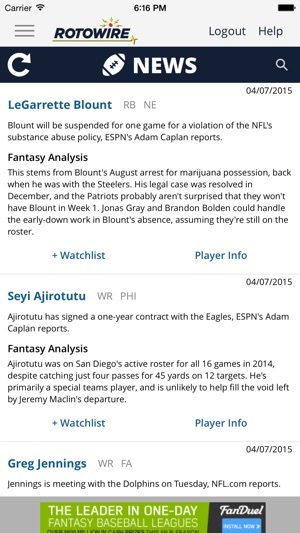 Whenever I open a notification from my watchlist or top 100, it rarely takes me straight to that players page. Perhaps an update to address this issue would be in order seeing as it’s been 6 months since the last update. This is a MUST OWN app. 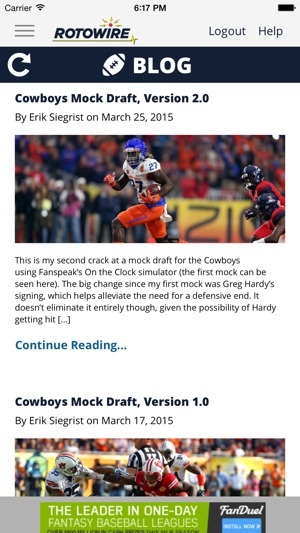 Folks into fantasy realize it's all about the player news. 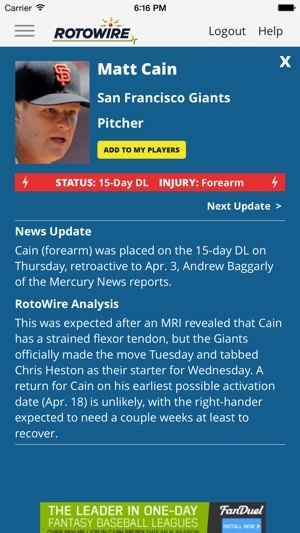 This App cuts to the chase and tell you all about the players you care about. Love it! Get it. Nice improvements with the last upgrade. © 2018 Roto Sports, Inc.